Two colorful stars accompany the Moon on the evening of April 1. Aldebaran, the eye of the bull, stands to the lower right, with Betelgeuse, the shoulder of Orion, to the left of the Moon. Both stars are thousands of degrees cooler than the Sun, so they glow with a distinctly orange hue. Both stars are far larger than the Sun, as shown in this diagram. 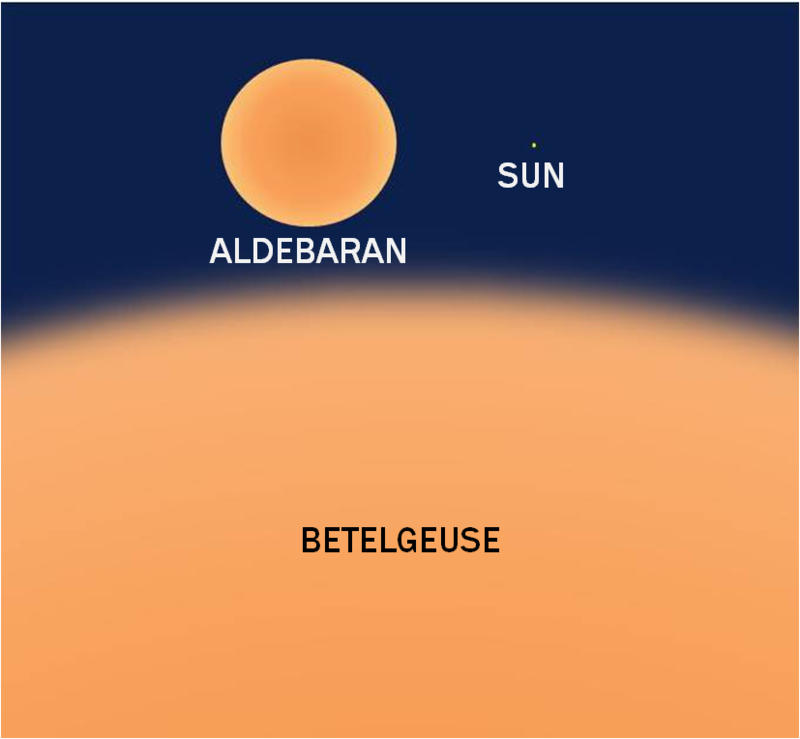 Aldebaran is about 44 times the Sun's diameter, while Betelgeuse is roughly 20 times larger than Aldebaran. The size of Betelgeuse is a bit uncertain, in part because its outer layers are more diffuse than the Sun's, so it's more difficult to identify the star's "edge."